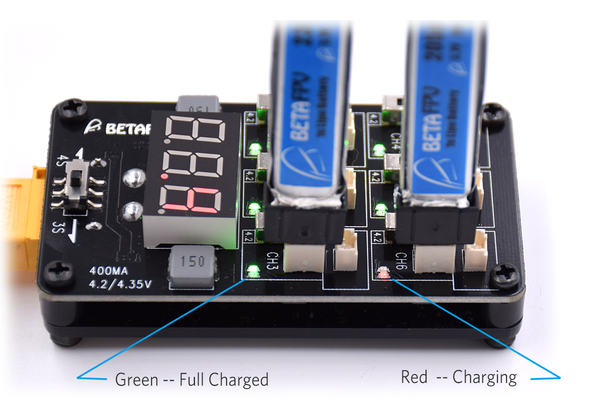 High-end charger from Whoop-specialists - BetaFPV. The charger can be used for charging classic Lipo cells (4.2V) and LiHV (4.35V). Connect up to 6 1S batteries that are individually charged with a current of about 400mAh. The included 12V power supply provides up to 3A of current and is powerful enough for full charger use. 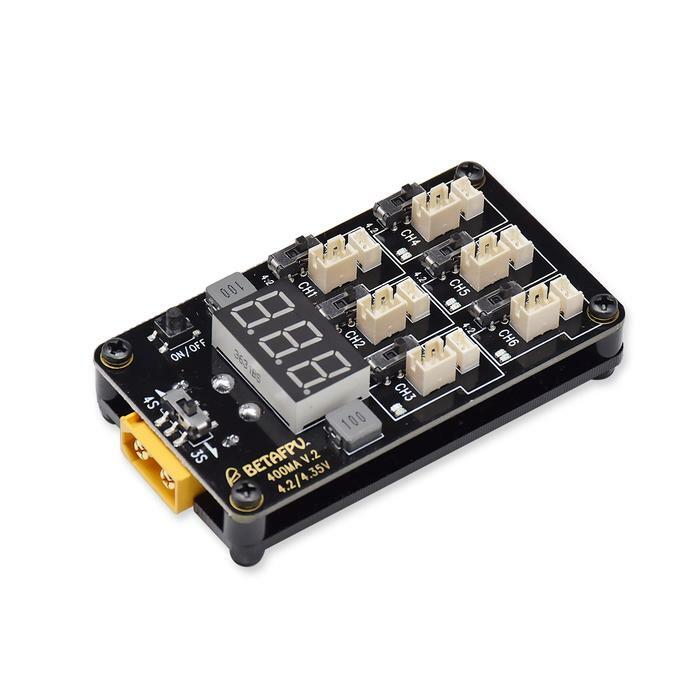 However, the charger can also be powered by a 3-4S LiPo battery, and includes undervoltage protection according to the selected number of cells.